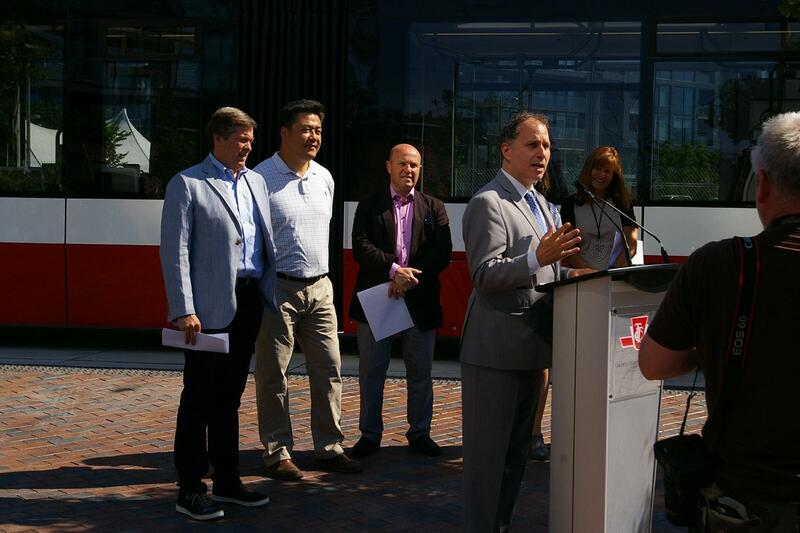 Monday (June 20, 2016) will see the start of service on the first new streetcar line in Toronto in over 15 years. 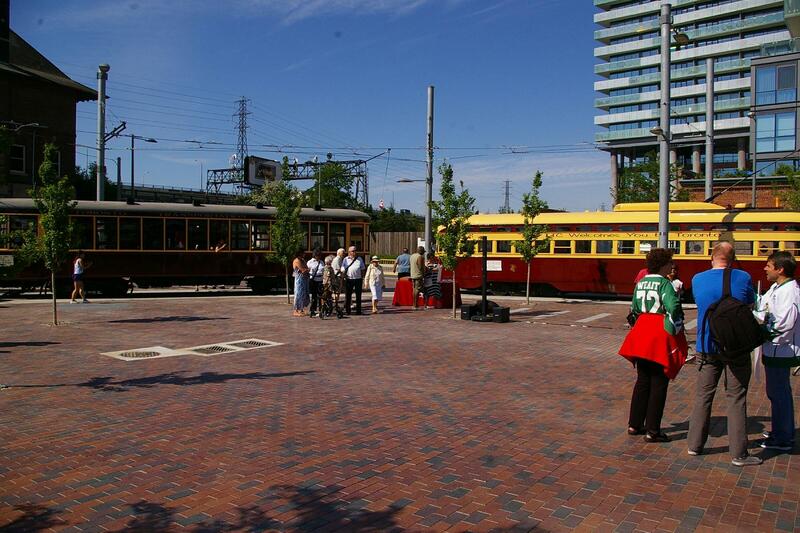 While the new 514 Cherry route from Dufferin Loop to the new Distillery Loop mostly runs on existing track, the part of it from King Street down the east side of Cherry Street to the new loop just south of Mill Street is brand new track, albeit less than a kilometre in length. What is nice to see is that it uses a side-of-the-road right of way instead of down the middle. Today (Saturday June 18) saw the official opening ceremony at 10 am. 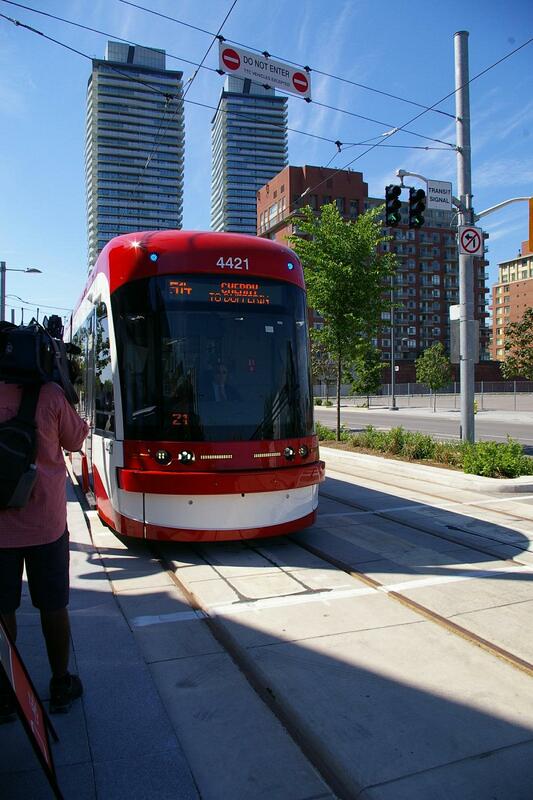 The TTC had the newest Flexity car, 4421, on hand which made a single run to Dufferin Loop and back after the usual political speeches were done with. For the ceremony, 4421 was followed in the loop by ALRV 4225, CLRV 4140, Peter Witt 2766, and PCC 4500. Above: Peter Witt 2766 and PCC 4500, ALRV 4225 and CLRV 4140, speech time. Below: Flexity 4412 heading north on Cherry Street at Mill Street. 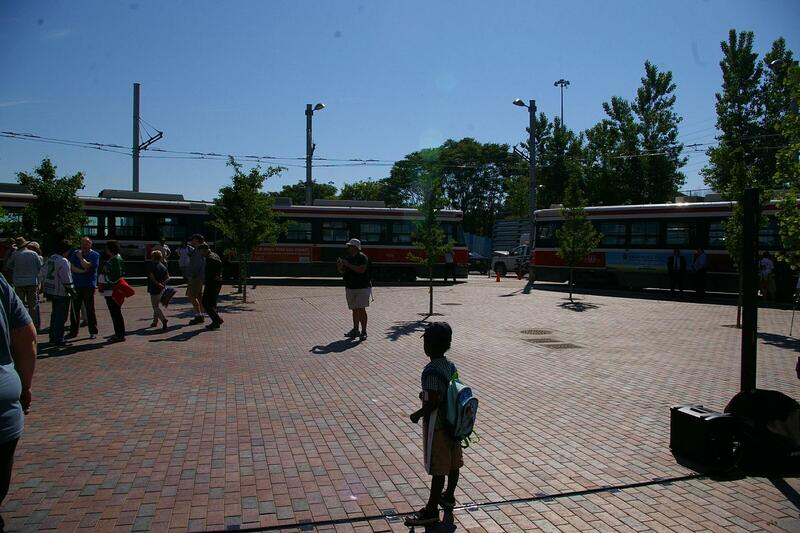 This entry was posted on Saturday, June 18th, 2016 at 3:18 pm	under General Transit.